Hello and welcome to the Grace at Home party, where we celebrate all the ways we make our homes places of grace and beauty. The past few months have been hard, haven't they? So much destruction, so much ugliness. And this week the church shooting in Texas, which strikes so keenly at our hearts. I don't know about you, but all the darkness in the world makes me long even more to make my home a haven of grace, a point of light, a sanctuary for my family and a beacon of hospitality for others. 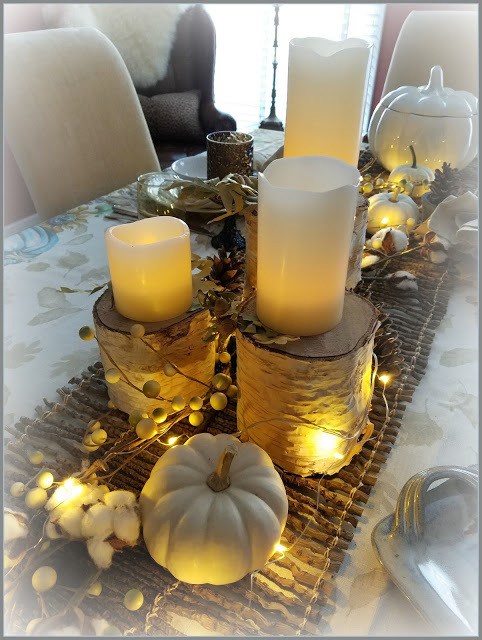 Lori from Dining Delights created a beautiful tablescape for Thanksgiving. I really like the hurricane vases with floating candles. Rita at Panoply also created a lovely Thanksgiving table. She used birch blocks from a fallen tree to make candle holders of varying heights. Isn't this stunning? January—right after Christmas—is a favorite time for people to organize their homes. 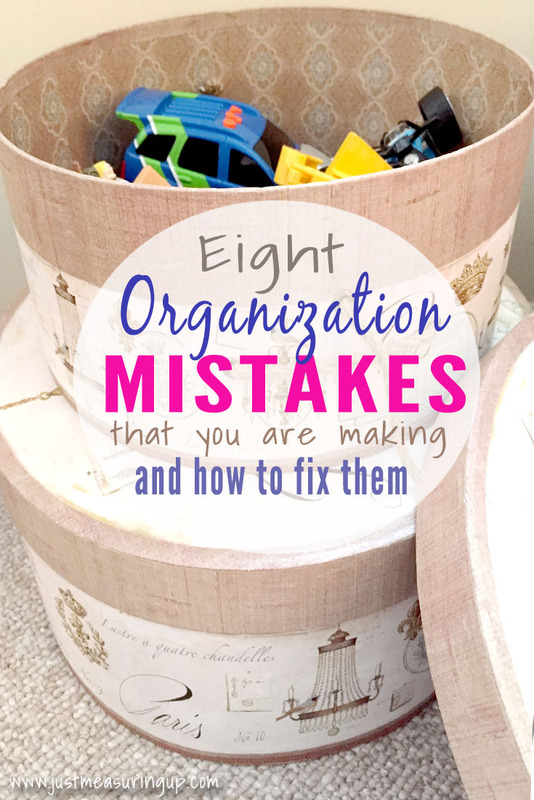 But I think that November is a good time to get a jump start on organization so that life isn't too crazy during the festive holiday season. Eileen from Just Measuring Up shares some common organizing mistakes and how to fix them. Hungry for some comfort food? Carol at Comfort Spring Station gave us a recipe for rich pumpkin soup. Doesn't this look delicious? Dr. Michelle Bengtson offers hope for those of us who are suffering. Having gone through a time of major depression herself, Michelle is especially equipped to help others. 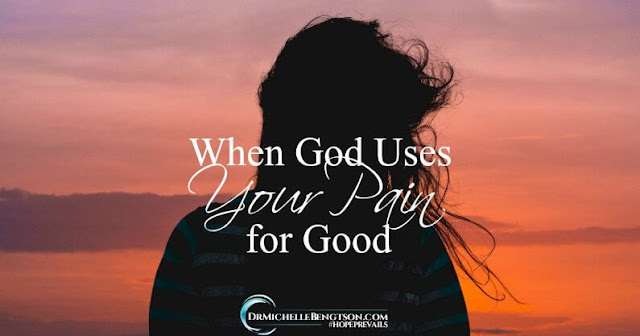 You'll want to read her words of encouragement of how God can use our pain for good. Thanks for sharing all the loveliness - a perfect balance to the hard contents of our daily newsfeed. 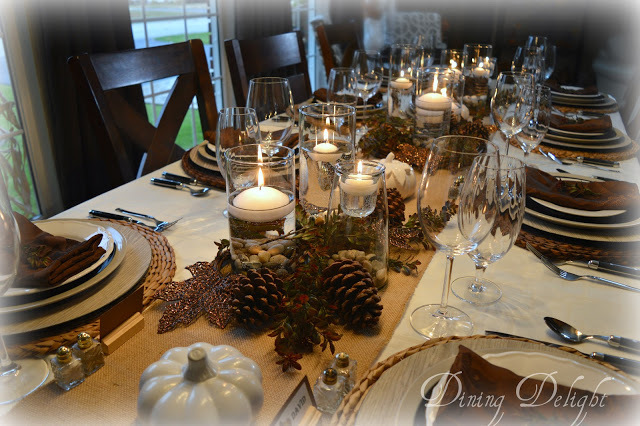 I'm honoured that you chose to feature my Thanksgiving Tablescape with Cylinder Vase Centerpiece at your lovely party! Thanks so much and thank you for hosting each week. I like how you described our homes as a "sanctuary for our families and a beacon of hospitality for others" especially with the happenings nearby and around the world. God's blessings to you. Thank you for the great party each week dear Richela. Yes, Richella, I agree, too much devastation. So heart wrenching devastation. Prayer and Holding close to Our Father and family seems the only way to get though these very difficult times. I'm just so grateful to be sharing with women, like you, that have like-minded blogs and messages. Praying for a more peaceful time ahead for all of us. Thank you for hosting such inspiration! Have a blessed week. Richella, humbled to be among your features this week, thank you so much! It's a nice respite to come to your party, share, and take in others' inspirational links. It's appreciated. Have a great weekend. 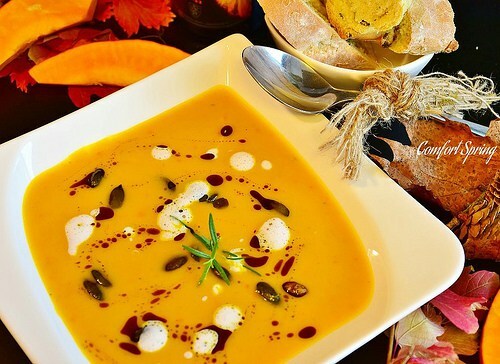 Thanks for featuring my pumpkin soup on this great party today. It's a real honor. Also thanks for hosting each week. God bless!